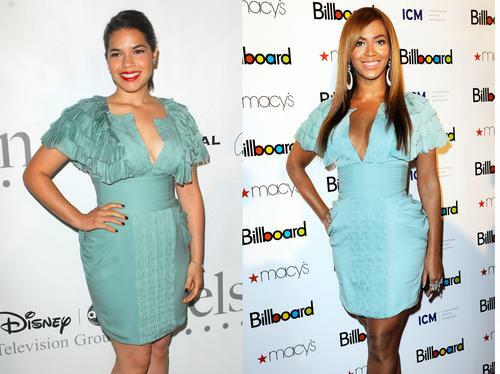 'Ugle Betty' star America and singer Beyonce both showed off their curves in this Malandrino dress. America adds a burst of colour with red lipstick and matching peep toe shoe while Beyonce kept her accessories plain and simple. But who wore it best? Vote now! See the full gallery: Style snap!